The Large Luxe, by Distinctive Mantels, is fashioned in the Modern style of Fireplace Mantels and based on artistic works produced during the period extending roughly from the 1860s to the 1970s. The term Modern Fireplace Mantel is associated with art in which the traditions of the past have been thrown aside in a spirit of experimentation. Modern artists experimented with new ways of seeing and with fresh ideas about the nature of materials and functions of art. A tendency toward abstraction is characteristic of much modern art. More recent artistic production is often called contemporary art or postmodern art. The Large Luxe will bring simple elegance and clean lines to your living space. The Tall N-Slant, by Distinctive Mantels, is fashioned in the Modern style of Fireplace Mantels and based on artistic works produced during the period extending roughly from the 1860s to the 1970s. The term Modern Fireplace Mantel is associated with art in which the traditions of the past have been thrown aside in a spirit of experimentation. Modern artists experimented with new ways of seeing and with fresh ideas about the nature of materials and functions of art. A tendency toward abstraction is characteristic of much modern art. More recent artistic production is often called contemporary art or postmodern art. The Tall N-Slant will bring simple elegance and clean lines to your living space. The Menage, by Distinctive Mantels, is fashioned in the Modern style of Fireplace Mantels and based on artistic works produced during the period extending roughly from the 1860s to the 1970s. The term Modern Fireplace Mantel is associated with art in which the traditions of the past have been thrown aside in a spirit of experimentation. Modern artists experimented with new ways of seeing and with fresh ideas about the nature of materials and functions of art. A tendency toward abstraction is characteristic of much modern art. More recent artistic production is often called contemporary art or postmodern art. The Menage will bring simple elegance and clean lines to your living space. The Frasier, by Distinctive Mantels, is fashioned in the Modern style of Fireplace Mantels and based on artistic works produced during the period extending roughly from the 1860s to the 1970s. The term Modern Fireplace Mantel is associated with art in which the traditions of the past have been thrown aside in a spirit of experimentation. Modern artists experimented with new ways of seeing and with fresh ideas about the nature of materials and functions of art. A tendency toward abstraction is characteristic of much modern art. More recent artistic production is often called contemporary art or postmodern art. The Frasier Mantel will bring simple elegance and clean lines to your living space. The Element, by Distinctive Mantels, is fashioned in the Modern style of Fireplace Mantels and based on artistic works produced during the period extending roughly from the 1860s to the 1970s. The term Modern Fireplace Mantel is associated with art in which the traditions of the past have been thrown aside in a spirit of experimentation. Modern artists experimented with new ways of seeing and with fresh ideas about the nature of materials and functions of art. A tendency toward abstraction is characteristic of much modern art. More recent artistic production is often called contemporary art or postmodern art. The Element Mantel will bring simple elegance and clean lines to your living space. 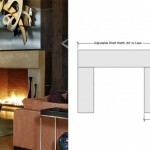 The N-Slant, by Distinctive Mantels, is fashioned in the Modern style of Fireplace Mantels and based on artistic works produced during the period extending roughly from the 1860s to the 1970s. The term Modern Fireplace Mantel is associated with art in which the traditions of the past have been thrown aside in a spirit of experimentation. Modern artists experimented with new ways of seeing and with fresh ideas about the nature of materials and functions of art. A tendency toward abstraction is characteristic of much modern art. More recent artistic production is often called contemporary art or postmodern art. The N-Slant will bring simple elegance and clean lines to your living space. The Point, by Distinctive Mantels, is fashioned in the Modern style of Fireplace Mantels and based on artistic works produced during the period extending roughly from the 1860s to the 1970s. The term Modern Fireplace Mantel is associated with art in which the traditions of the past have been thrown aside in a spirit of experimentation. Modern artists experimented with new ways of seeing and with fresh ideas about the nature of materials and functions of art. A tendency toward abstraction is characteristic of much modern art. More recent artistic production is often called contemporary art or postmodern art. The Point Mantel will bring simple elegance and clean lines to your living space. Like it’s cousin the Aspen the Telluride combines smart, clean curves with rugged Colorado textures. Specifically designed to appeal to those who like seeing a bit of the outdoors pulled indoors.